No house is finished without window treatments. If you need help choosing which type of window treatments fits your room best, we have the answer. Draperies, roman shades, valances, cornices, swags, stationary panels, we make them all. Home by Eva provides custom fabrication for commercial projects. We work with general contractors, architecture and design firms that create award-winning projects in Washington, D.C. area. Our commercial projects include double sided draperies for meeting rooms, custom cushions and more. All our indoor and outdoor cushions are custom made to fit the measurements precisely. We custom cut around the smallest obstacles to make sure the cushions fit perfectly. We help you to choose the most beautiful indoor or outdoor fabrics as well. The finishing touch in the bedroom is without a doubt a beautiful headboard. 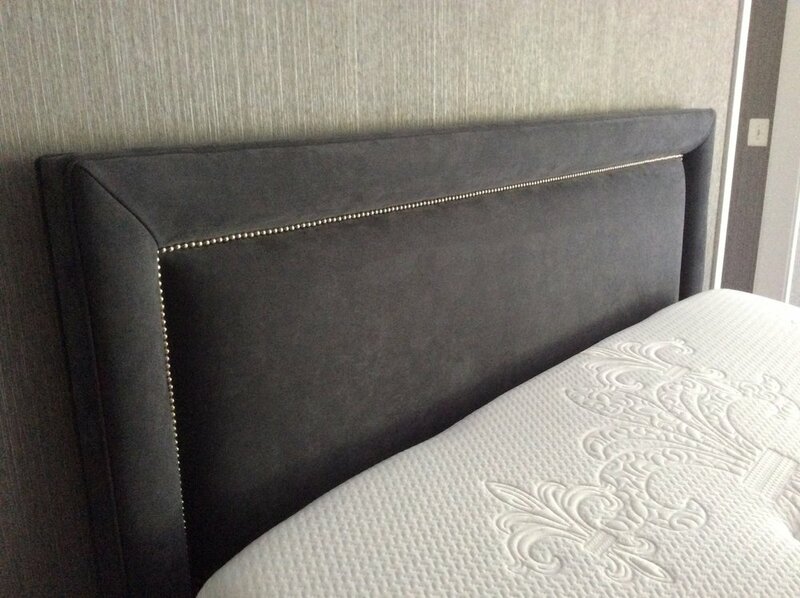 If the design asks for rich details in tufting and nail heads or simple and clean line, we make them all. We deliver and install in timely manner. The cushions on your boat see a lot of wear and tear. The marine environment exposes them to wind, rain, sun and sea spray. So it is not surprise that after years of use they almost always need to be replaced. Our marine upholstery workroom has many years of experience to make your boat cushions look like a new again. 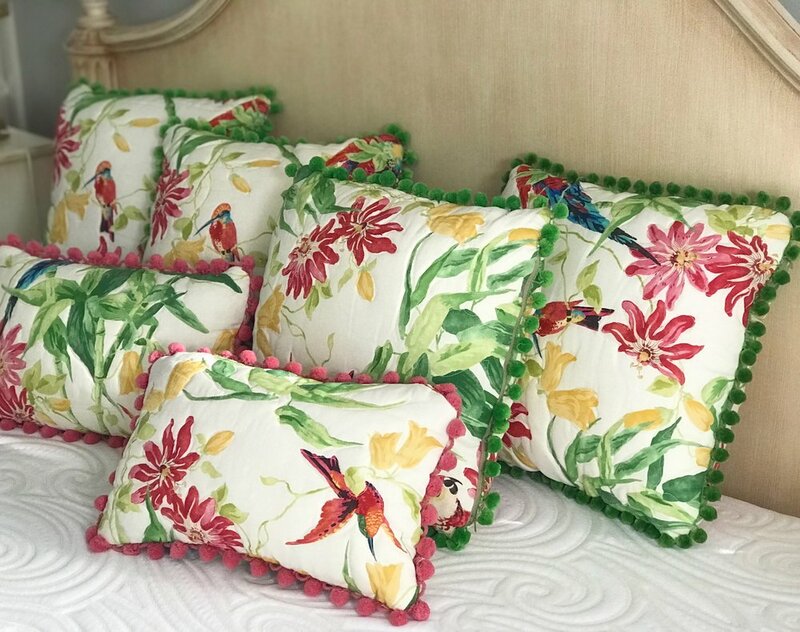 Visit our gallery of custom made pillows, all with invisible zippers, pattern matching and welting. Should the design ask for knife edge style or trim, flange, appliqué embellishments, we do it all. Enjoy our gallery of pillows. Slipcovers allow you to spruce up your home decor without buying new pieces of furniture and are an easy way how to change the style in your room. 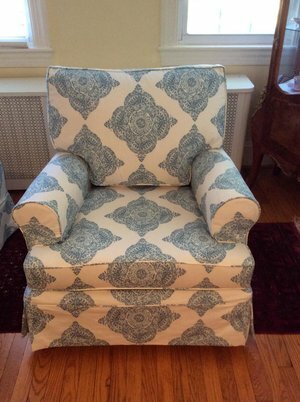 They fit perfectly because every slipcover is made with furniture to pin fit. Designing kids' rooms is a lot of fun. Children love to be part of the design team so we make sure that we hear their input. Colors, fun textures, small size furniture and a surprise element create the perfect design. Leave all the details to us, your part is to have fun with fabrics and colors. Inspire yourselves with ideas in the image gallery.